(b. 1966) – playwright and translator. She mainly translates German-language dramas. She has translated F. Schiller, F. Wedekind, Ö.von Horvath, H. Müller, E. Jelinek and other authors. Several times honoured by the Austrian Chancellor’s Office for her translations of Th. Bernhard and W. Schwab. Co-authored dramas: Podróż do Buenos Aires (2001) and Daily Soup (2007). 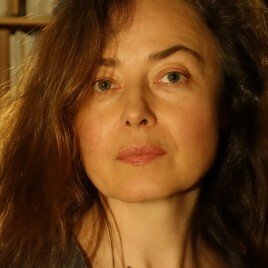 Together with her husband, Andreas Horvath, published two photography albums: Jakutien (2003) and Heartlands (2007). She also made a few documentaries, including Z punktu widzenia emerytowanego portiera (2006) and Arab Attraction (2010). In 2017 nominated for the Nike Literary Award and the Gdynia Literary Prize for her essay Między Placem Bohaterów a Reichnitz. Austriackie rozliczenia.